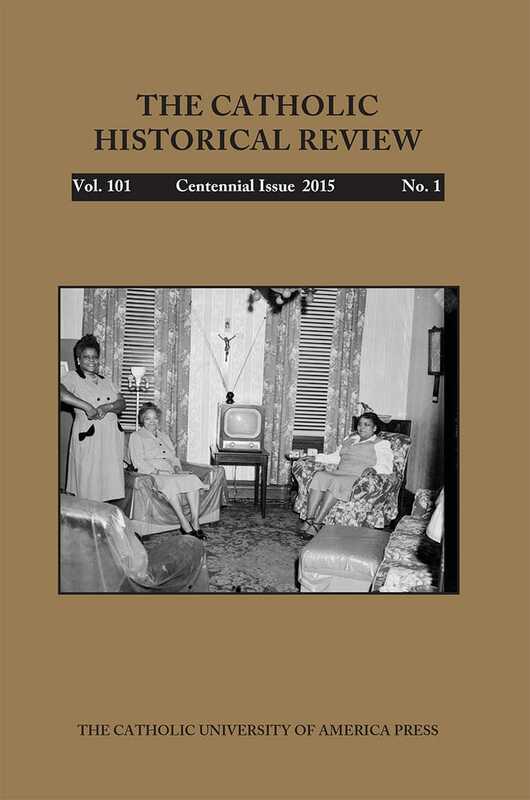 We invite you to preview highlights from the special centennial issue of the Catholic Historical Review. On this page you can browse summaries of articles appearing in the Catholic Historical Review. After setting out some of the reasons Catholicism developed a rich array of devotional and liturgical objects, this introduction to the centennial special issue of The Catholic Historical Review on Catholic material culture traces a brief history of the emergence of material culture studies while noting the contributions of Catholic scholars to it. It also defines material culture and describes several of the field’s approaches as exemplified by essays in the special issue. Strengths and weaknesses of these approaches are also noted. The crowning of statues was a common practice in medieval cloisters, but at the north German convent of Wienhausen, the golden crowns of statues were confiscated by Observant reformers after the reformation of 1469. The nuns voiced distress at the loss of these crowns and made new Marian statues with elegant wooden crowns that were irremovable. The author puts the crowns worn by Mary in the context of the crowns worn by the nuns themselves and argues that such elaborate headdresses carried for the sisters many meanings; they include shaping female identity, signaling monastic commitment, and foreshadowing the rewards of heaven. This article examines the body of Francis Xavier, preserved whole since its exhumation in 1553, through the lens of material history. It traces the corpse’s translation from the China coast to the Malay peninsula and onward to its final resting place in Goa. Historical sources relating to the many examinations of the body are discussed, as well as the devotional traditions that emerged as a result of the miraculous preservation of the body in the tropic heat of Western India. Testimony from late-sixteenth- and seventeenth-century visitors sheds light on how early-modern Asian Catholics understood the relic. A well-used devotional book with two names inscribed and the print of a miraculous image of Christ crucified pasted in next to the first page of text is examined for clues to religious life in Mexico City in the late-eighteenth century. The discussion features a counterpoint between “external” baroque spiritual practices and reforms meant to fix attention on the discipline of private, “internal” exercises and atonement for sins that continues to be a source of scholarly debate. The digital revolution has provided easy access to photographic archives, enabling students and scholars to utilize new forms of visual evidence. Analyzing the 80,000 pictures contained in the online archive of Pittsburgh photojournalist Teenie Harris (1908–98) reveals that African Americans utilized Catholic devotional arts in both their homes and churches. Most likely these individuals were not Catholic but found that Catholic imagery spoke to their spiritual needs for an embodied Christianity that was powerful enough to heal, bring luck, and ward off evil. Photographic archives constitute valuable historical sources that can provide important insights into how religion is lived. This bibliography offers a sampling of work on material culture useful to historians of Catholicism. It includes works on theory and methodology; architecture; ancient and medieval Christianity; as well as modern European, American and Canadian, Latin American, and Asian and African Catholicism.